I am always adjusting and changing things for my ponies. I have recently talked about how I adjust their supplements based on what I am seeing and how they are responding to them. Now I feel I should update you on my harness situation! Was not appropriate for the type of driving I was going to be doing. When we lived on the old farm we did lots of arena driving and drove on level roads. We were in lots and lots of parades and we did a lot of showing. But here I wanted to switch over to trail driving and even our road driving included LOTS of hills and rough terrain. I had been thinking about doing a few Combined Driving competitions as well and would need to be set up for that. So that is when I started replacing harness parts with Comfy Fit pieces! And started my 2 year journey to putting together my Comfy Fit Harness. So what have I changed or noticed along the way? I have added a very colorful MaraFUN harness. I was super curious about this harness and wanted to see one in person so I bit the bullet and bought one! And I went all out and got it in Hurrican Blue and NEON Green! LOL It’s been such a fun harness and has some major differences from the Comfy Fit Harness. The hip straps for the breeching. They have a little very soft wider padded piece that sits on the top of the hips. I feel this better distributes any of the weight that may end up there! It doesn’t rub or slide side to side and keeps the two straps that connect to the breeching nice and straight. The saddle is a gig style saddle, no tree. At first I really wanted the tree, but found over time it just wasn’t as comfortable for my horses, for the type of driving I am doing (and because Sky and Zorro are very WIDE)! I like that it’s totally customizable as far as the breast collar goes. If you want the basic simple straight style that is an option, or you can upgrade to the Deluxe style OR the SuperFlex! So many options! I don’t love the breeching itself. It is not padded and for the type of driving I do I have to have a nice wide, padded breeching… but guess what!? Janie has now made that an upgrade for the MaraFUN harness! The bridle is very different than the Comfy Fit bridle. It took me a little while but it is growing on me. The blinders are smaller, the noseband does not have a nose band hanger and isn’t pdded and there isn’t a contoured poll piece. BUT the MaraFUN bridle is so much lighter than the Comfy Fit and Mikey really prefers it. The MaraFun girth is not padded either, but the ponies don’t seem to mind. I think as long you get it long enough, so the buckles don’t end up in the armpit, then they are comfortable! Add a bigger saddle pad. 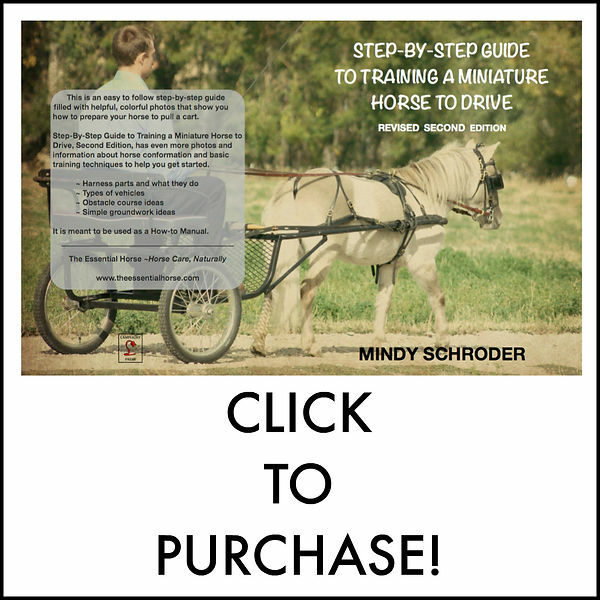 The miniature horse and small pony harnesses come with a mini regular size pad. That pad just sits right under where the rein turrets are on the saddle. I wanted my pad to sit under all of the saddle and even come down on the sides a bit. So I upgraded to the Horse Long pad. It is not only longer but wider! I bent the tree on my Comfy Fit harness so it would better sit on Sky. She is so broad and wide the tree was way too narrow. Bending it helped to sit on her better and then adding the Horse long pad really helped her be more comfortable! I switch Mikey out of the Comfy Fit Bridle to the MaraFUN. He is a head shaker and it seemed the weight of the Comfy Fit was irritating to him. I also made the nose band much looser on the MaraFUN bridle and switched him to the Arch Mouth Baucher Cheek bit which he is quieter in. For now I switched out the MaraFUN breeching on Zorro’s harness for the Comfy Fit breeching from Sky’s harness. Right now his set up is a bit of a hodgepodge. LOL! He is wearing the Comfy Fit Bridle with the open cheeks, I removed the nose band, (Mikey is using his MaraFUN bridle) and the Comfy Fit breeching and Sky’s horse long purple back pad. But I have ordered everything I need to pull his harness together! And I ordered Mikey his own MaraFUN harness, or my version of the MaraFUN! Basically, the MaraFUN with the Horse Long back pad and padded breeching. I have so much fun playing around with my two harnesses. My Comfy Fit has all brass hardware so it really is quite a hodgepodge with the stainless steel and the brass all mixed together. With the new pieces I got for Zorro’s harness and Mikey’s new harness I can put the Comfy Fit back together for Sky and everyone will have their very own harness. But that is for another post!! I can’t wait to get pictures of everyone all put together!